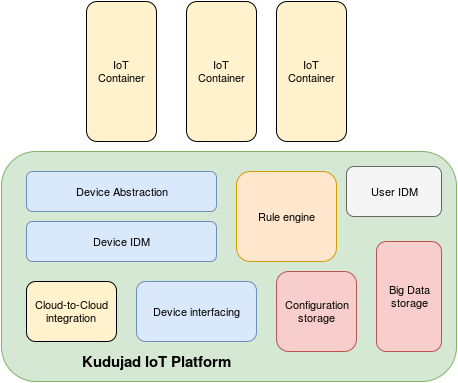 Kudujad.io is an IoT platform which takes a containerized approach to business logic and allows developers quickly to deliver results using the Kudujad.io base platform as a foundation to deliver their specific functionality. Our platform is a SaaS hosted service with user facing mobile apps and web interface. Developers and service providers only have to provide us with their container package and it will be deployed to platform and appear as an option on every users app. Send email to info@kudujad.io to register as development partner and get access to documentation and other resources.